Much is being made of what has been called taxageddon and the so called fiscal cliff. The massive tax increases that are at the heart of the issue are for sure threats to the economy but by far not the only ones. The truth is even if Republicans get their way and all the Bush era tax cuts are made permanent taxes will still increase substantially due to Obamacare. It would seem that no matter what, the reelection of the President means the road to economic recovery is looking more like a minefield than a highway. Immediately after Obama was declared the winner of the election the stock market posted its fifth largest post election plunged in history (number one happened when he was elected the first time). 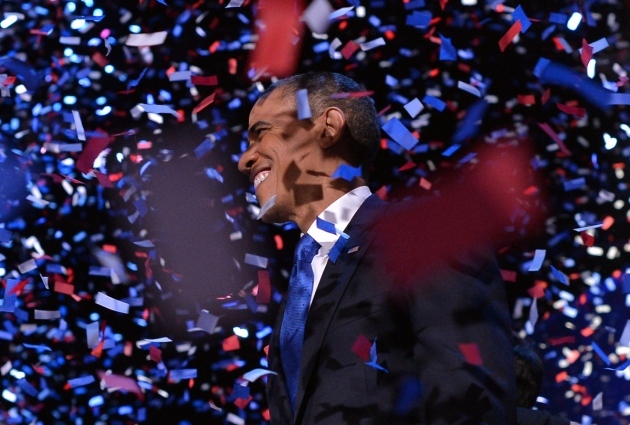 It seems more than a few see the reelection of the 44th president a bad omen. As Obama said to the Republicans before he rammed his agenda passed them, elections have consequences. In this case it appears people are not going to have to wait long to find out what the consequences of Obama’s reelection are. Across the economy businesses are already hunkering down and preparing for a long hard road ahead. The first businessman to announce cutbacks in relation to Obama’s reelection was from Las Vegas, immediately the next morning he laid off 22 of his staff. The reason was the cost of implementing Obamacare. Soon businesses large and small started to follow suit including a hiring freeze at Applebees as well as Olive Garden, Red Lobster and Papa John’s Pizza all going to a part time work force. All of this should come as no surprise as last year Obamacare was listed as one of the main reasons small businesses were not hiring. Unfortunately Obamacare is far from the only worry for American businesses. Dodd-Frank is poised to wipe out thousands of Small Banks. The economic costs of losing all those banks is incalculable. Even big banks are being put in a bind by Dodd-Frank and may be put at risk. On another front, the EPA and other agencies have ramped up new regulations to the tune of 68 a day! 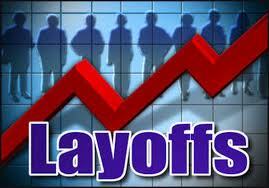 Coal plants and coal producers have been and are feeling the heat with layoffs already in the works. As coal fired electric plants are shut down and new back door cap and trade regulations are implemented (something both the left and right agree is coming) energy cost are set to go up substantially in the near future. As if these were not enough the President is pushing for higher income taxes on small business owners; taxes that are on top of those already poised to take effect as part of Obamacare. Taxes he says will soak the rich but the rich get most of their money from investments, not income. The fact is despite his rhetoric his class warfare is nothing more than a thinly disguised attack on success and the middle class. The President’s supporters shouldn’t worry though, the rich will not escape the taxing onslaught. That is because dividend tax rates are likely to triple and capital gains taxes are probably going up as well. What does that mean for the average Jane and John Doe? If history is any guide, and yes it usually is, the big boys and girls will just pick up their jacks and play elsewhere leaving them without jobs and the government without revenue. Something that looks to be already happening. Of course if John or Jane are retirees counting on dividends for part of their income, tough luck. The facts are the cost of living is going up, jobs are disappearing and with Obama in place for the next four years that is not going to change. Already the defense industry is cutting tens of thousands of jobs and other companies are announcing similar cuts. Energizer will layoff 10% of its workforce, Vestas is cutting 16,000 positions, and the list goes on. Solar companies, engine manufacturers, technology companies, it seems no sector of the economy is immune. As of today layo ffs have jumped to the highest they have been in eighteen months and show no signs of slowing. Even the one bright spot, the increases in fossil fuel production on private lands due to fracking, is no sure thing with Obama as President. The International Energy Agency (IEA) says fracking has the potential to make the U.S. energy independent but that is a potential likely never to be reached. The EPA has made no bones about seeking ways to put a kink in companies use of fracking. That along with back door cap and trade regulations will likely severely suppress America’s energy potential. Of course in the minds of the administration and its supporters all of this is intended to create a cleaner, greener and more equitable future. Are you of the belief that it is better to fail fast or slow? I have heard arguments on both sides from reasonable people. I am afraid that if the US fails slow people will get use to the decline and not demand change. I would have to say neither. A slow boil might create a Great Depression scenario where acceptance and apathy become the norm but the outcome of a quick collapse could go either way. The people need enough of a shock to provide the impetus for change but preferable not so much that the right demagogue with promises of bringing order to chaos could take over. Peter Schiff is one of the great Austrian Economists of our time. I agree with his assessments 90% of the time and find him engrossing nearly all the time. The fact is what he says in the interview is correct, collapse of the present system is inevitable. The question is how the collapse happens, a complete and sudden collapse would be catastrophic and could lead even to dictatorship (give us order no matter the cost scenario). A too slow demise will create a death spiral from which any recovery would not be possible. The third alternative is a controlled crash, which is what I think Peter is suggesting. Acknowledge the problem, create a stable pro-growth economic climate while at the same time start a restructuring of the debt (starting first with entitlements). Eventually some level of default might be necessary but shrinking the amount of debt that involves should be paramount. The problem is the present course leads to either a death spiral or suicide. I am a fan of Peter Schiff also, but he and the Austrians are wrong about the so-called dot com bubble. They suggest this was caused by easy money of the federal reserve, but if you look at the price of gold – one of the best indicators of inflationary policies – gold was falling from 1998 through 2001. A down turn in the stock market was inevitable, but the Fed over tightened and purposely tried to cause the downturn. The result was the same as with all government engineered solutions, it turned a normal correction into a much bigger crash. We would have recovered quickly, but Congress passed SOX and changed our patent laws and changed some accounting rules all of which destroyed the market for startups, particularly technology startups. These changes are what caused the slow growth in the economy 00’s that lead to the housing bubble – along with the FED, Fannie, Freddie, etc. I am no Austrian but there is much wisdom to be found in Von Mises writings. I decided to look back at the period in question. The fact is gold, although a traditional economic hedge, has too many other factors effecting its price to be used as an indicator for inflation. Since inflation takes 18 to 30 months to appear after the money supply increases (a basic thumb factor from Milton Friedman) I looked at inflation around that time. Even though official figures are of debatable accuracy they do show trends. The fact is inflation did go up from late 1999 to mid 2001. The figures show inflation shooting up from a almost acceptable 1.7 to 3.6 before heading back down. That reveals the money supply was being inflated to some extent during tech boom years of 1997-1999. I would agree that a sudden tightening exasperated the problem which is part of the FEDs inherent weakness. Even if run by men with the purest of intentions and greatest of knowledge it is simply not possible for men to properly anticipate market conditions. The result is overcompensation to make up for under-compensation. In this particular case, I would have to say if rates were tied to demand and risk instead of government manipulation the .com bubble would of never happened. Your right the FED did in effect choose the time of the bubble burst, a bubble, I would have to agree with Schiff on, it helped create.